When you need to get from one point to the next, any motorcoach will do, and in fact any mass transit system is probably more environmentally friendly than driving your own car. But if you don’t own a car, or if you’d rather not drive it for a long trip you plan to take, the only way to travel is by using a deluxe motorcoach. Deluxe motorcoaches go far beyond the simple buses with bench-style seats, that your kids take to school, and which are used to ferry participants to football games, church outings, and other local events. When you’re traveling for several hours on your way to some distant destination, it’s very important to have a few simple luxuries that will make the trip more tolerable, and which will allow you to arrive reasonably fresh, instead of frazzled and out of sorts. When you’re going to visit a relative in some distant city, you’re almost certain to need to pack for an extended stay, and that calls for including luggage which is more than just your carry-on bag. While a backpack might be fine for local trips, a suitcase is probably what you’re going to need when you’re traveling to another location to visit relatives. What’s more, you can expect that practically everyone on the deluxe motorcoach is going to be in the same situation you are, and will be bringing along at least one suitcase, crammed with personal belongings. While airlines have grown much stingier with the dimensions of travel bags which are allowable, this same shortcoming has not yet afflicted deluxe motorcoaches, so you should be able to bring along everything you need in your suitcases. If necessary, you can make use of overhead storage bins, under seat spaces, and the under-passage area to accommodate all your traveling gear. If you’ve ever fallen asleep in a chair and woken up with a stiff neck, you’ll appreciate having a very comfortable seat when you’re traveling to some distant location. Deluxe motorcoaches are almost always used for extended trips, and that’s why most of them are equipped with plush seating for riders, and many of these seats will even recline for additional comfort. Sometimes the seats will only recline a few degrees in any given direction, but that’s generally enough to impart additional comfort to the occupant. Ideally, you want a seat which will remain comfortable for the entire duration of your trip. In today’s world, just about everyone takes along their smartphones and their tablets on any long trips. All these electrical devices permit us to stay in touch with loved ones while traveling, and they also provide a nice distraction when you have a trip of several hours to look forward to. Unfortunately, some of those distractions like video games, will cause your device battery to run down before you get to your destination. Many of the best deluxe motorcoaches now have built-in power banks and electrical outlets, so that riders can plug in and get recharged, and continue working with their devices the entire trip. Many of today’s modern deluxe motorcoaches have installed entertainment systems which have gone beyond tiny televisions or video players. Today’s travelers can enjoy DVD players, satellite TV, and even oversize flat screens, almost as if you were at home. When passengers are engaged and occupied by a good entertainment system, they’re generally much happier, and much less likely to notice any inconveniences or discomforts. It may not do you much good to be able access your smartphone or tablet with a fully charged battery, if you can’t access the Internet. Some apps will only work when they have access to the Internet, and if you’re looking for information, you will of course need to be online to obtain any breaking news. If you don’t have an unlimited data plan on your device, Wi-Fi can be extremely handy, and can save you a chunk of money besides. If you happen to be traveling in summertime, you definitely want to take advantage of the air conditioning system in a deluxe motorcoach. Those which may not have air-conditioning, will allow you to open the window of course, but that can create a lot of chaos with things blowing around and messing up your hair. It also does nothing to address humidity, which only air-conditioning will resolve. For hours of comfort as you’re traveling, you definitely need air-conditioning during the warm season. 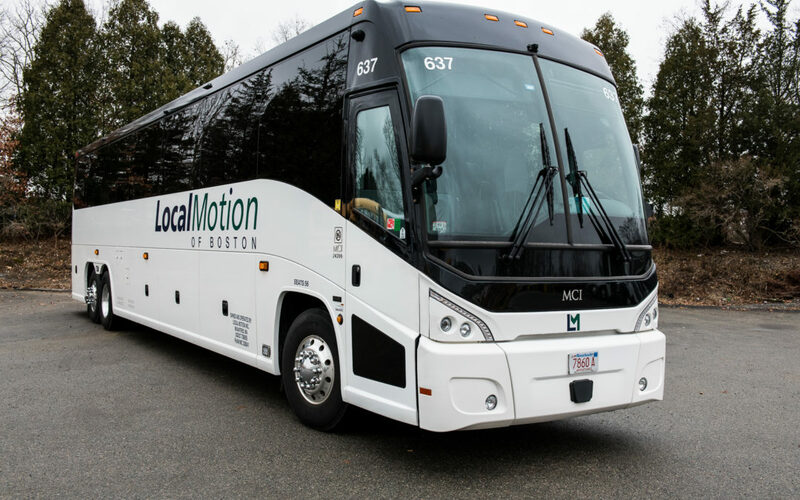 To take advantage of all these perks and amenities while you’re traveling to a remote location, contact Local Motion of Boston, operators of a fleet of modern luxury motorcoaches, which are specially designed with the comfort of passengers in mind.